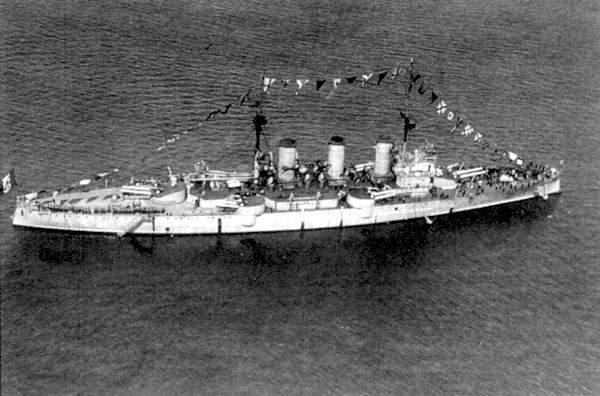 Armored Cruiser San Giorgio in 1941. The twin 7.5" (19.1 cm) guns are in the two lower mountings. Above and between them is a twin 10 cm/47 OTO M1928 AA mounting. Photograph copyrighted by Elio Andò. These were Elswick Pattern "C" and were used on armored cruisers. These guns were removed from the cruiser Pisa following her decommissioning in 1937. Two of them (or the Vickers Mark D which had similar performance) were then mounted on the pontoon GM216. It is possible that some of the remaining guns were used in coastal artillery batteries. Twenty-four of these guns were still in service as of June 1940. Construction is believed to have been 'A' tube, inner 'A' tube, wire winding for 75% of their length, 'B' tube and jacket. 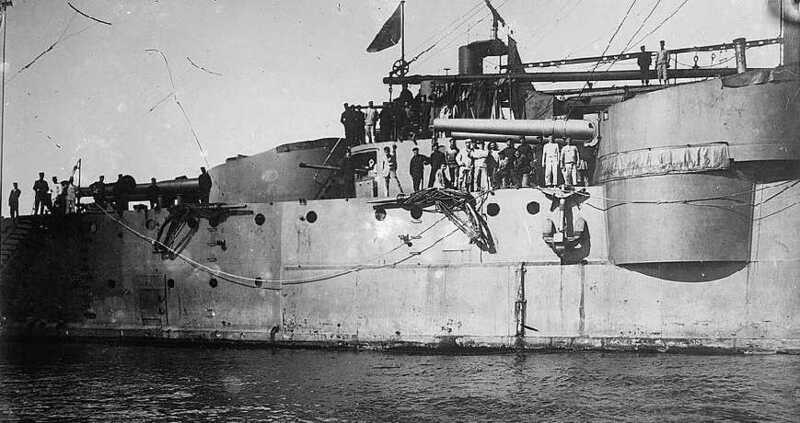 Armored Cruiser Pisa in 1923. 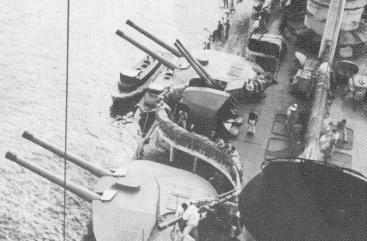 Twin 7.5" (19.1 cm) guns in four amidships mountings. Marina Militare Photograph.